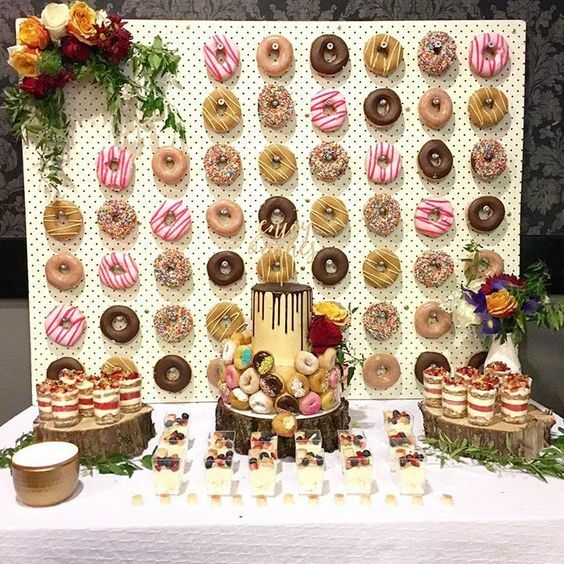 There’s no wedding without desserts of some kind, and usually it’s a wedding cake or several cakes but more and more couple choose non-typical options. 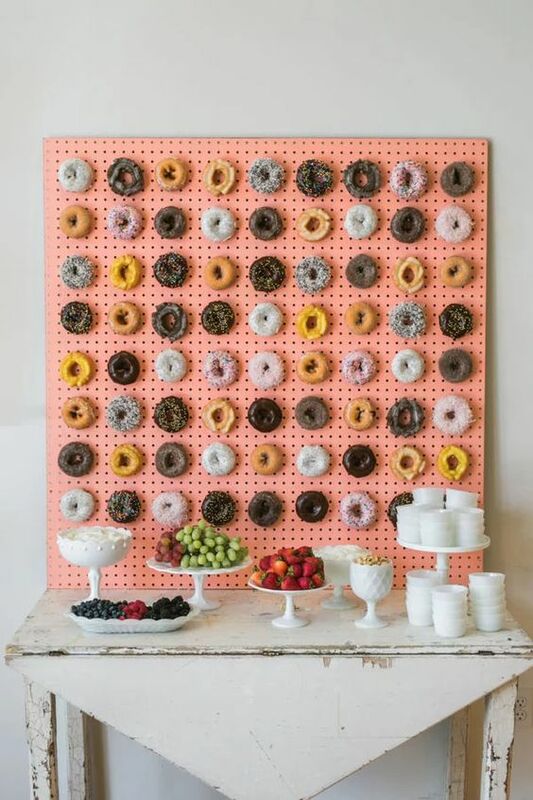 One of them is donuts, and today they are displayed not just on plates, on whole walls! 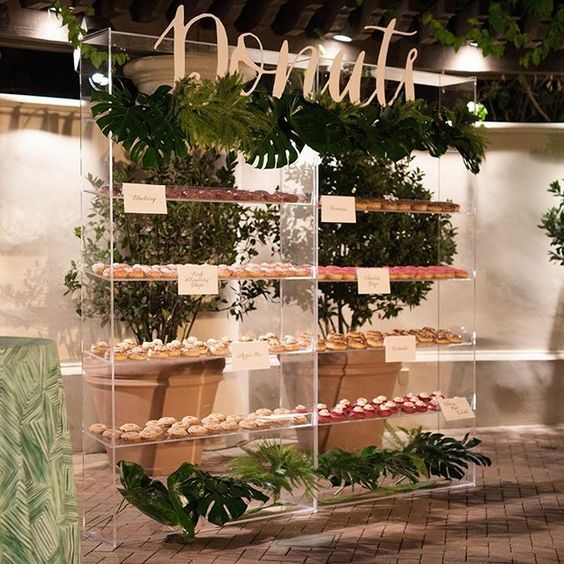 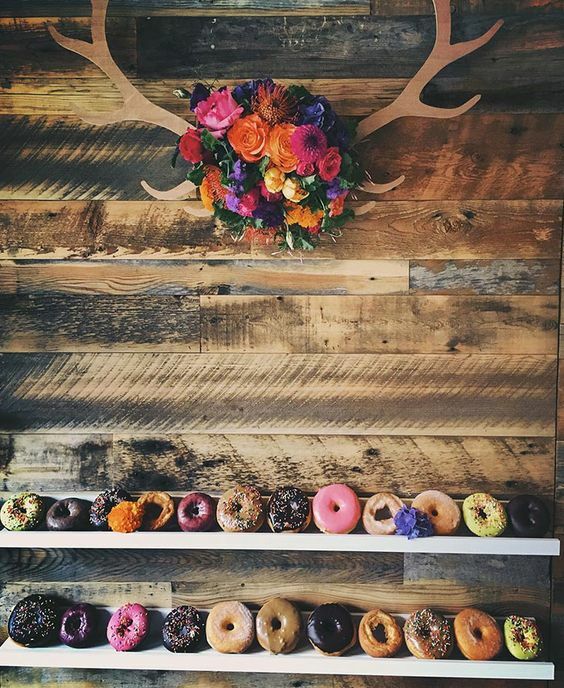 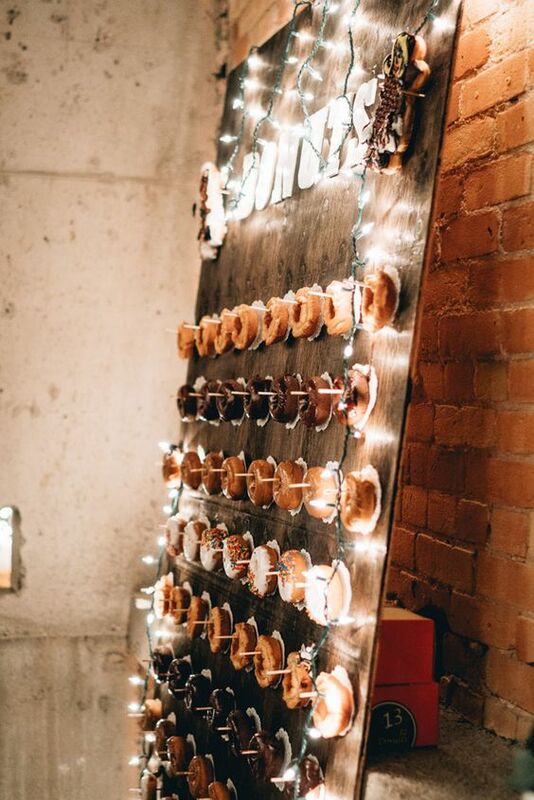 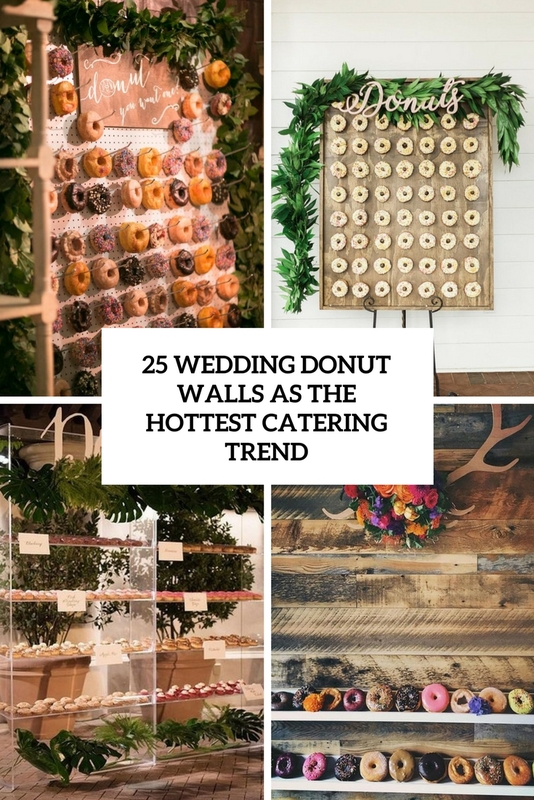 Donut walls are the hottest catering trend, this is true not only for weddings but also for rehearsal dinners, engagement parties, bridal showers and many other events. 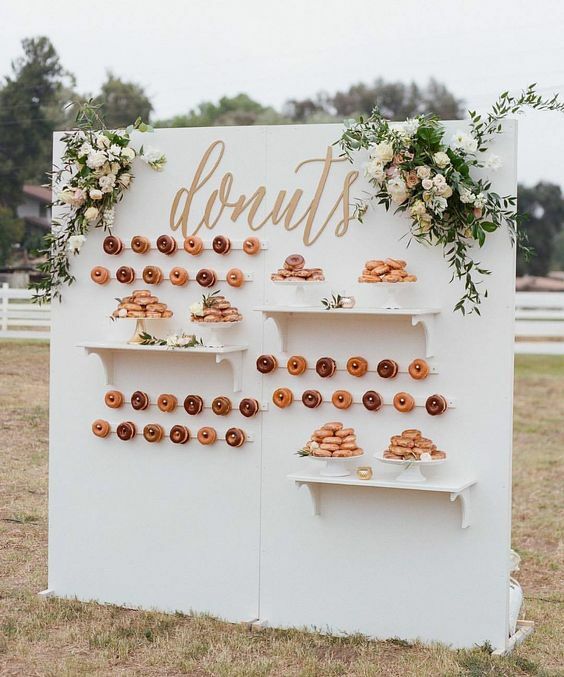 Donuts are tasty, and it’s a great way to save on the budget as you won’t need a cake – you can just bake the donuts yourself. 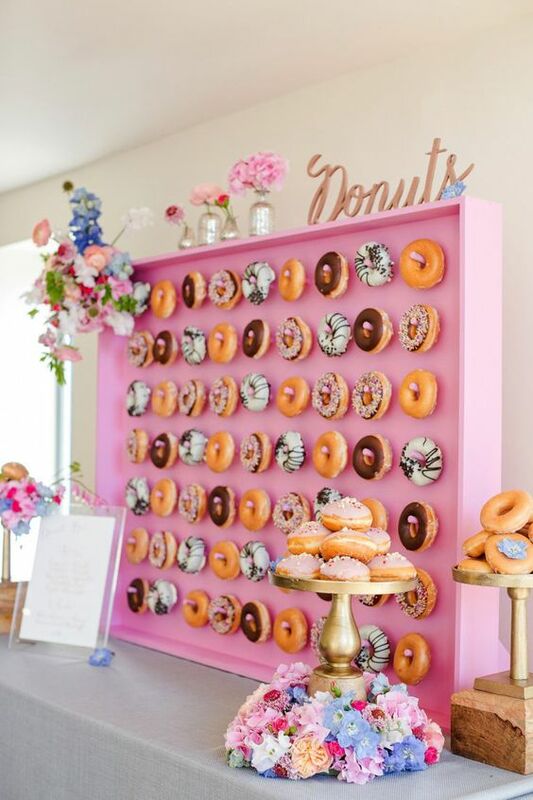 Today I’d like to share the most gorgeous ideas with yummy donuts and tell you how to style such a wall if you wanna do it yourself. 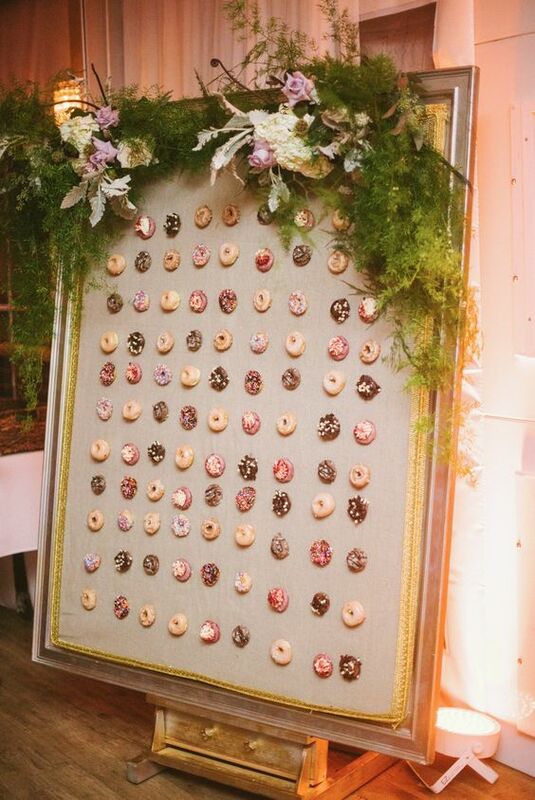 Decide whether you want a large or small donut wall: if there are many guests, it’s better to go for a large one. 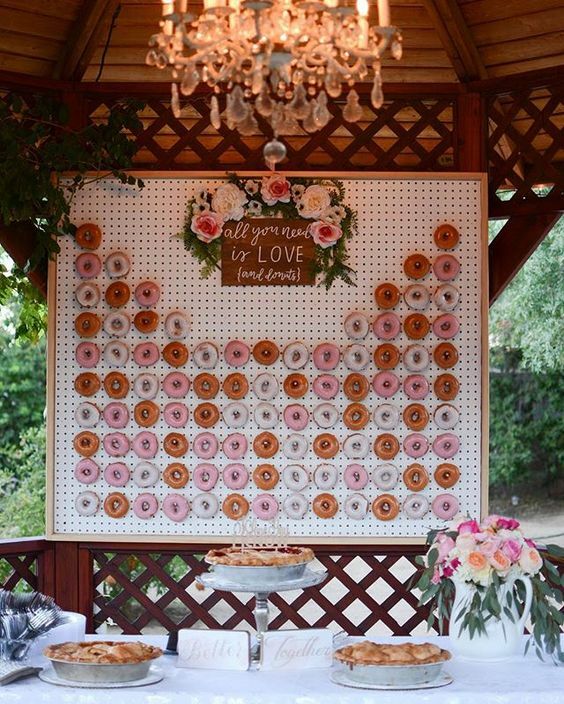 Now consider your wedding style and theme and choose the base for the wall, here there are many ideas to try. 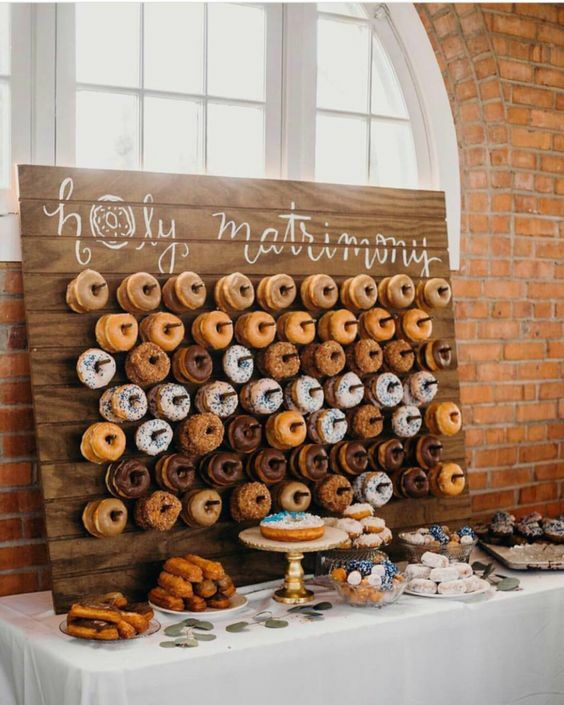 If you have a modern wedding, rock a clear acrylic donut wall, if you are going for a rustic affair, think over having a wooden wall, it may be framed or not. 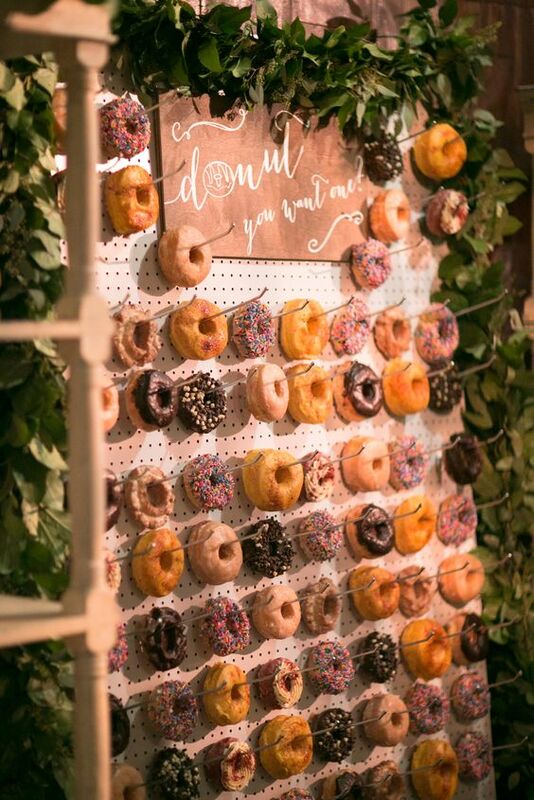 Chalkboard donuts walls and pegboard ones are amazing for many kinds of weddings, and if there are really many guests, take a whole wall of the venue, attach shelves and ledges and use it as a donut wall. 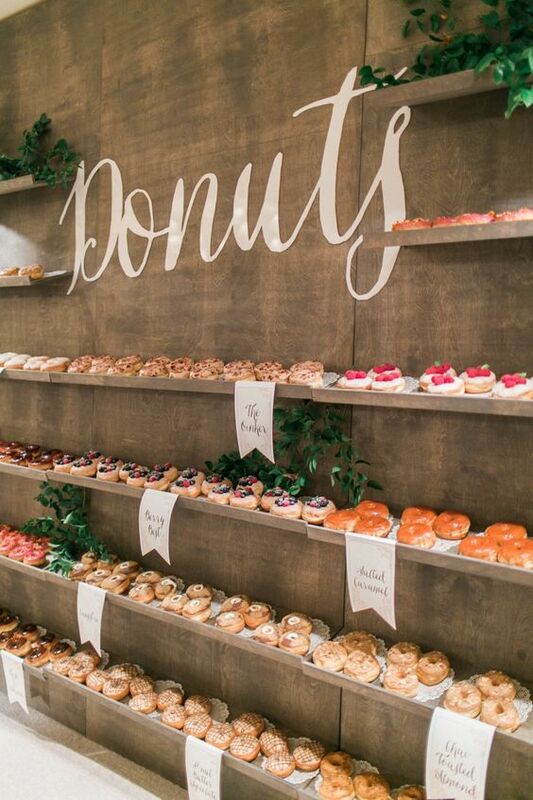 Decor is an important part of every wedding, and your donut wall should be decorated, too! 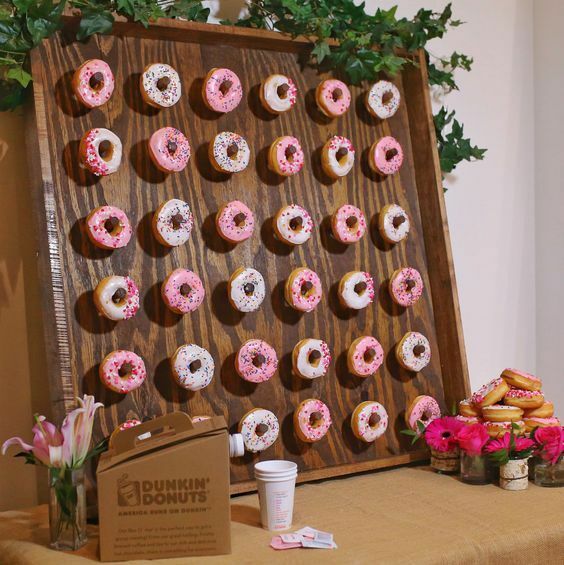 Of course, the donuts themselves are a cool and yummy decoration but you’ll need something else. 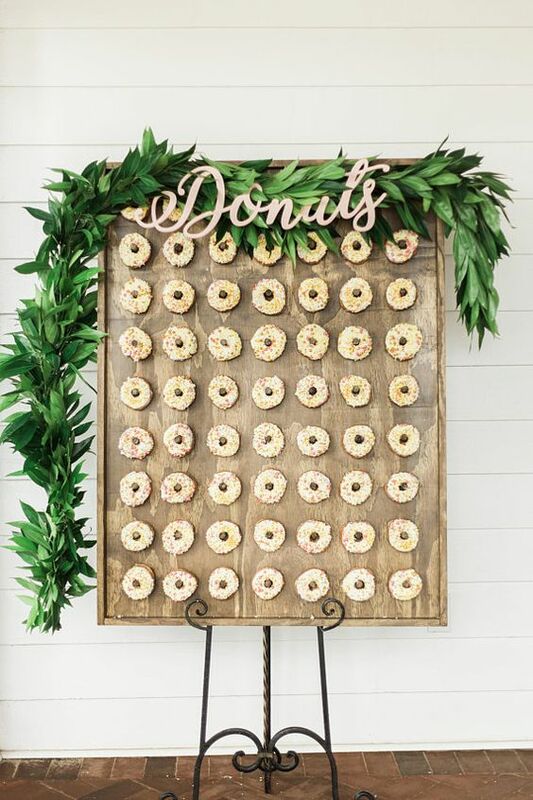 Greenery garlands and fresh blooms are the most popular ideas to decorate a donut wall. 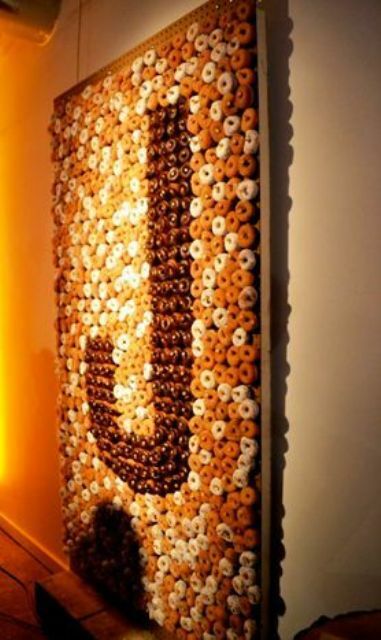 You can also highlight it with LEDs, calligraphy, banners, color blocking, antlers and even butterflies if you want. 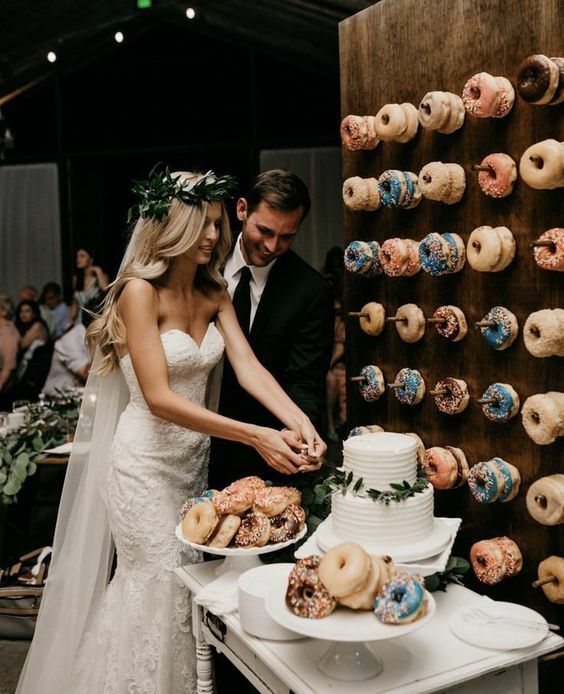 Again – everything depends on the style of your wedding. 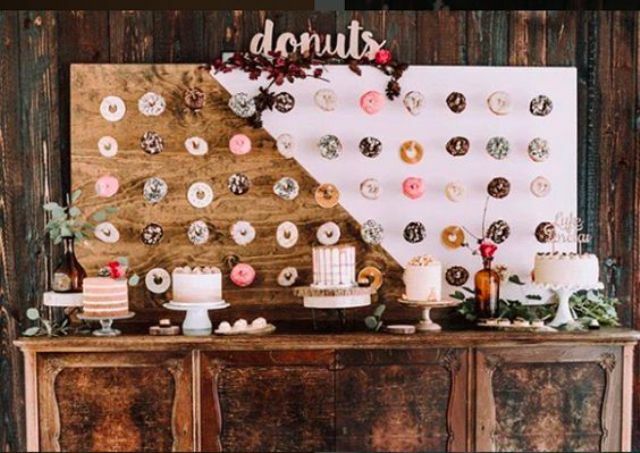 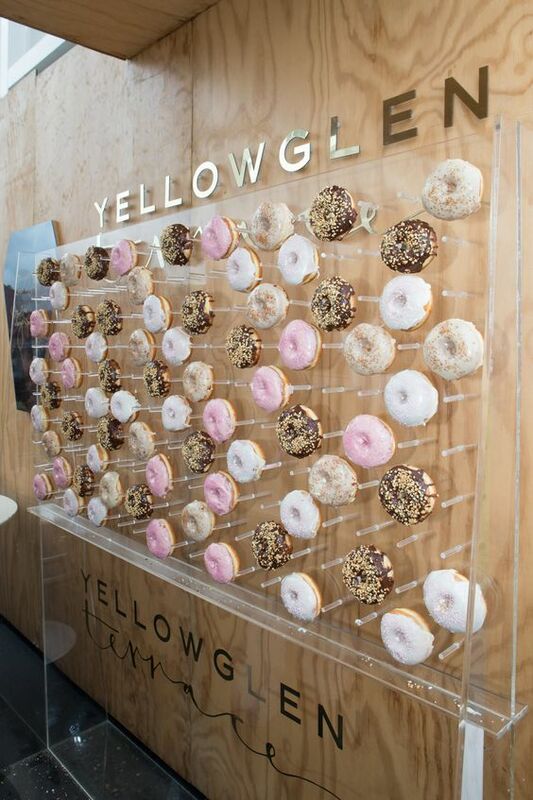 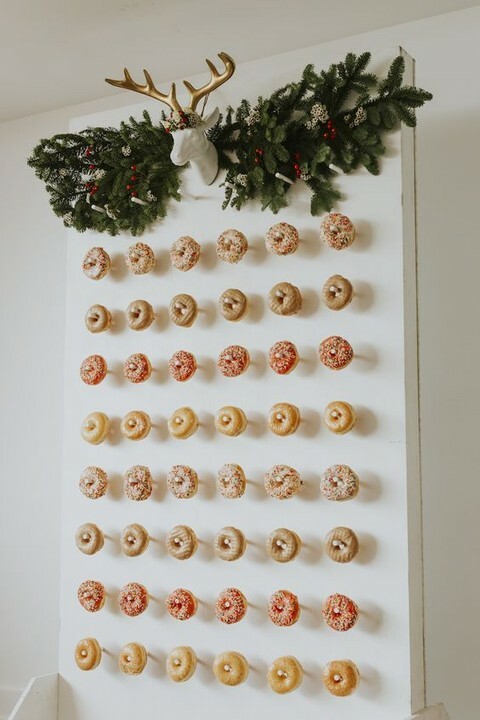 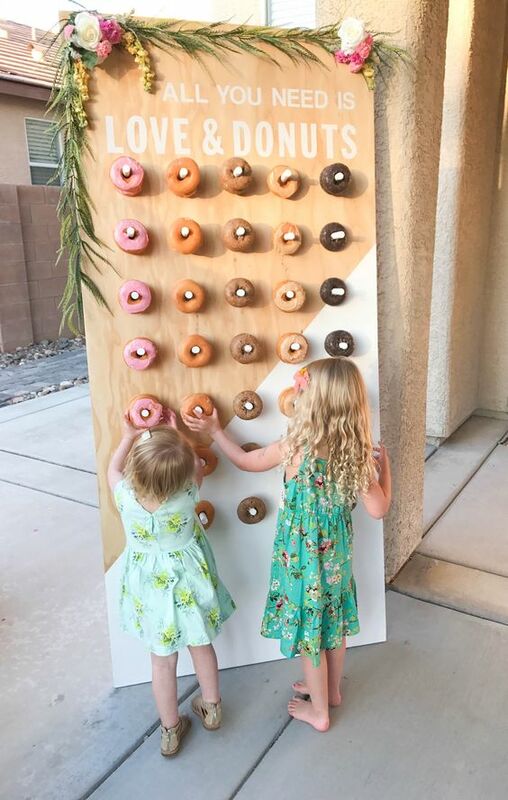 A donut wall can also serve a dessert table backdrop if any, so decorate it properly. 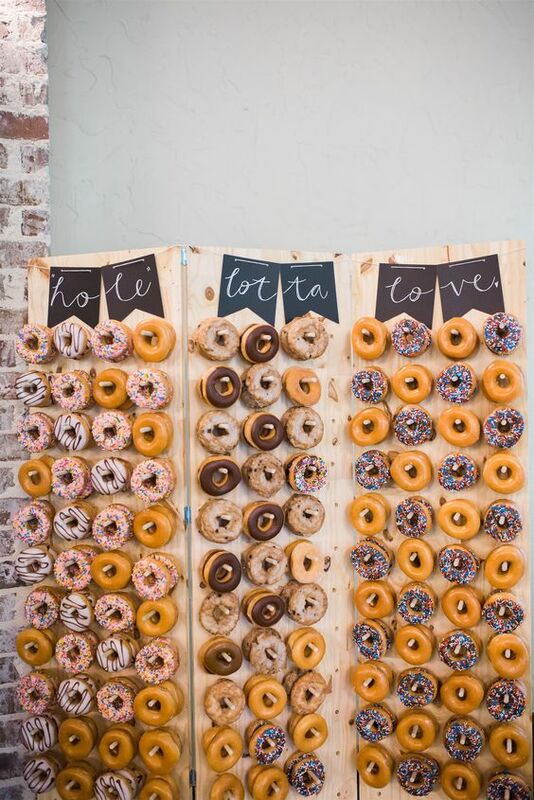 Make or order as many donuts as you want, the more, the better to please every guest’s taste. 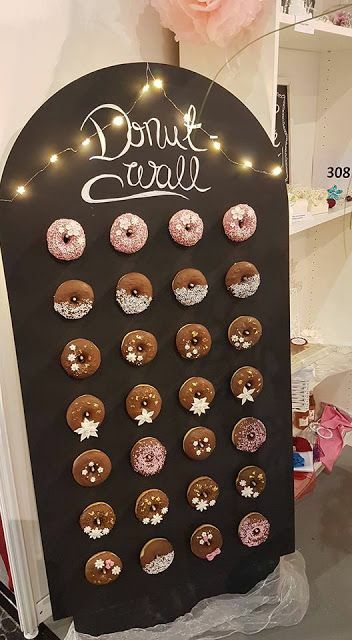 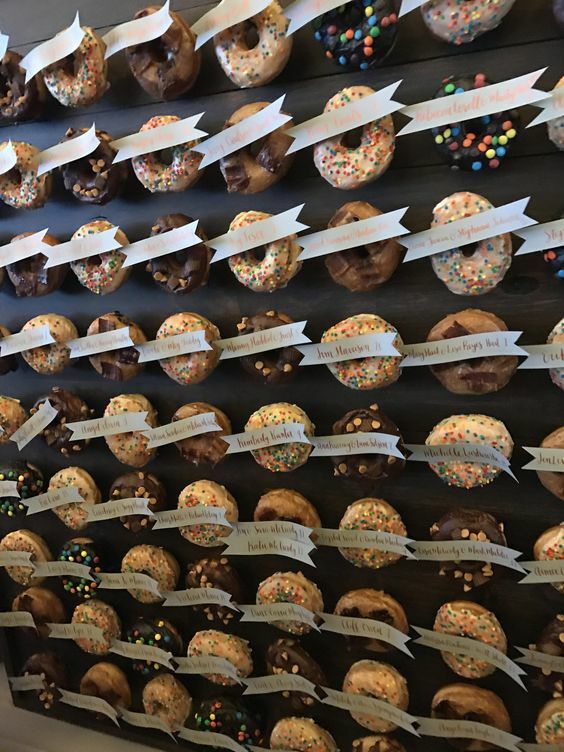 If it’s a chalkboard wall, why not lable types of donuts to make looking for them easier. 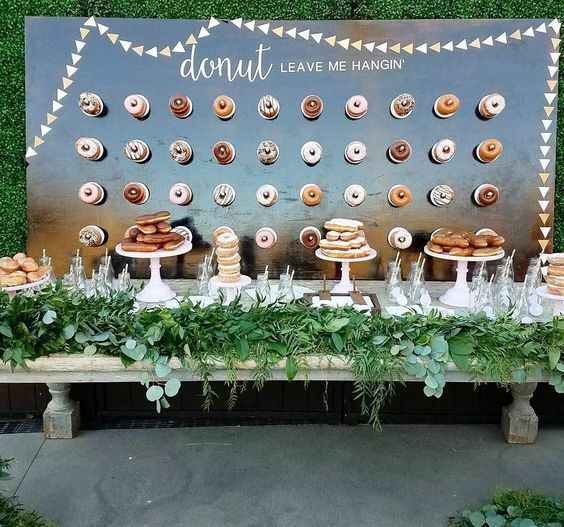 You can even attach little papers with some sayings or wishes to your guests to each donut. 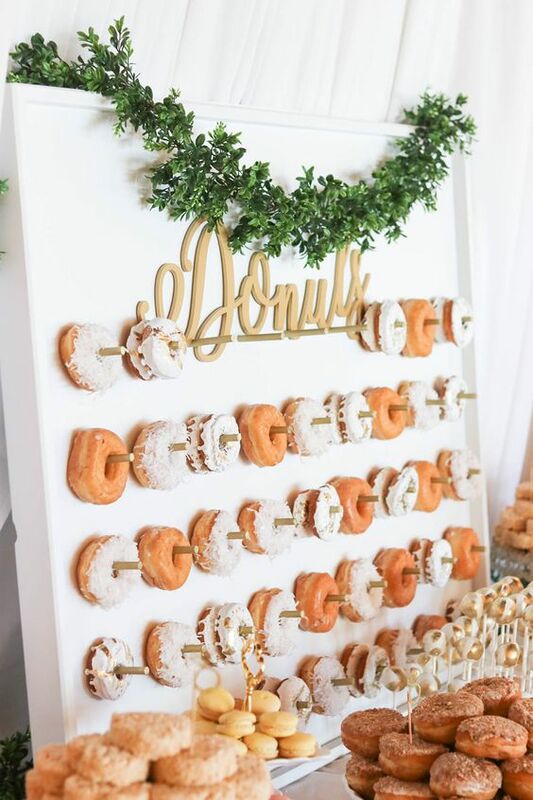 Now just have a look at these yummy bars and get inspired to make your own one at your wedding!